Gods Plan Raptor 4s shirt. Jordan 4 shirts to match sneakers and Streetwear clothing to wear with Raptor 4 Jordan Retros. 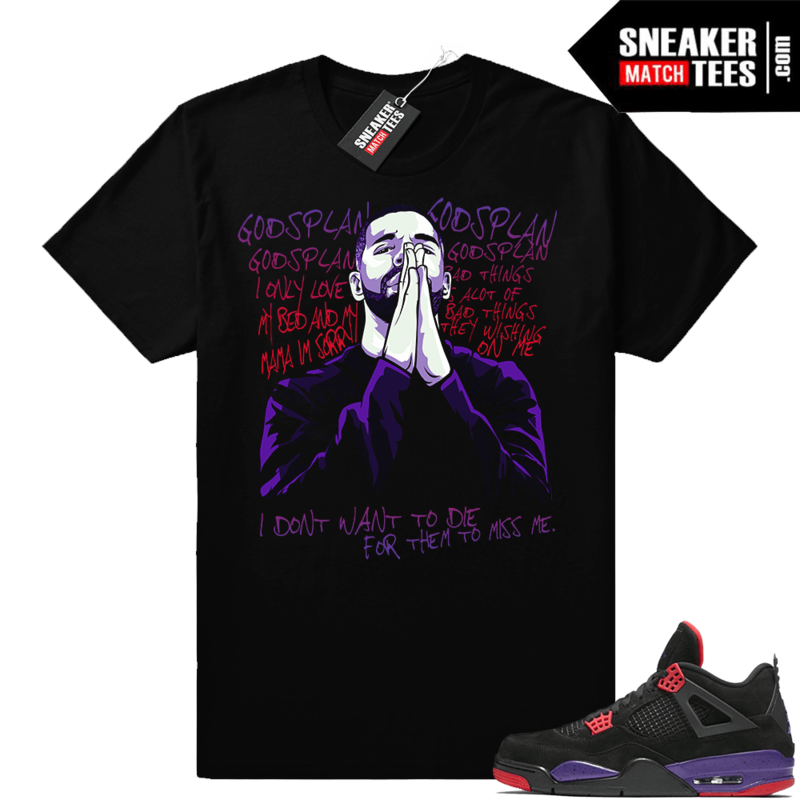 Gods Plan Raptor 4s shirt. Jordan 4 shirts to match Raptor 4s. Shirts matching sneakers and Streetwear clothing to wear with Jordan 4 Raptors Court Purple sneakers. View the entire matching collection of Jordan 4 Raptors Shirts.